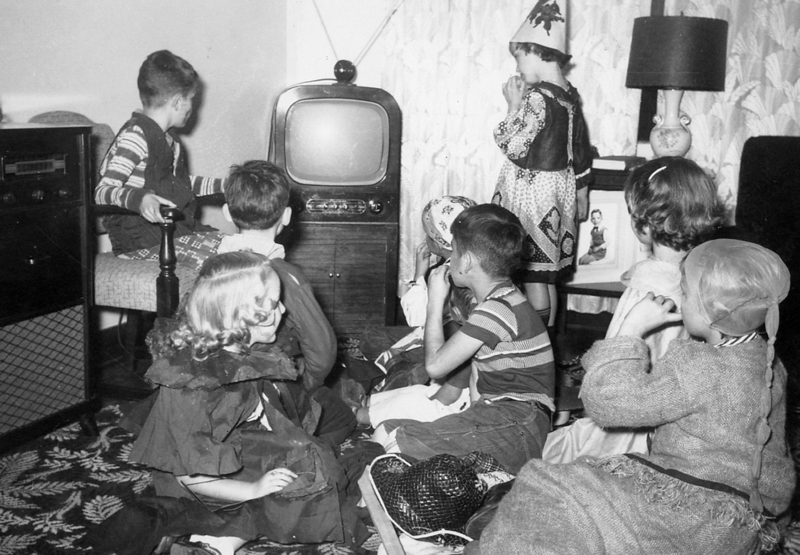 John Geddes tells Margi McKay about his 1953 Hallowe’en/birthday party, when an unintentional small fire forced the cancellation of his mom’s plans for a spooky game in the basement. He explains why this particular photo evokes such detailed memories about the house itself, which was on Mornington Avenue in London, Ontario. 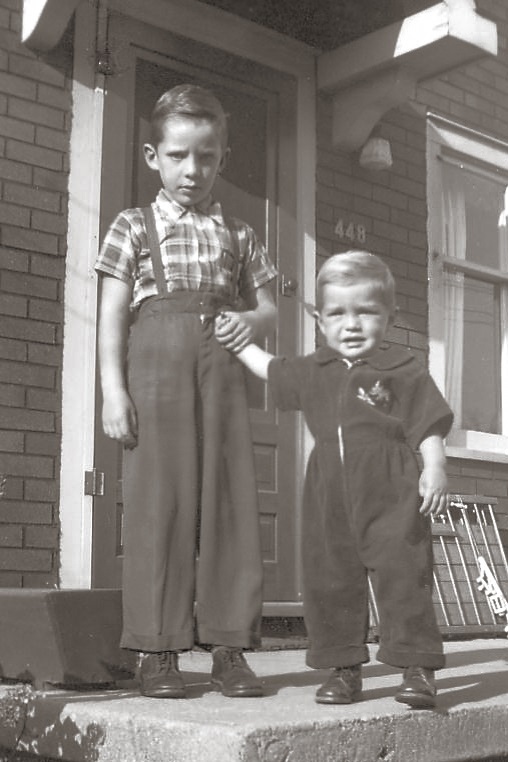 Another photo (right), taken outside their house about the same time, shows John with his younger brother Bob.